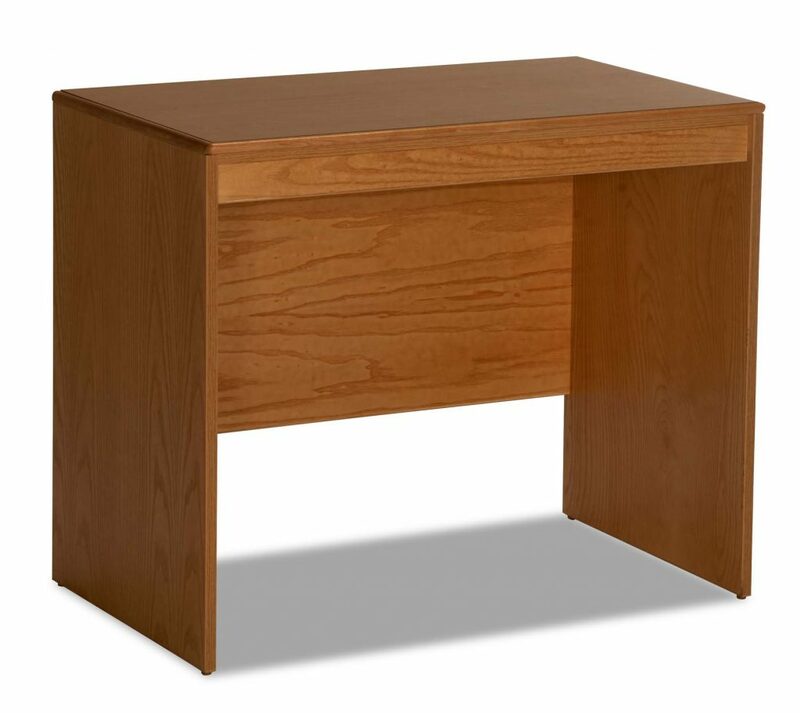 This suicide resistant Writing Desk is designed and engineered specifically for critical environments. The BF965 features Dura-PlyTM construction and built-in safety features like rounded edges and SafeJointTM concealed joinery for added strength with exposed fasteners limited to the back of the unit. The finish is a catalyzed vinyl sealer coat plus a catalyzed varnish top coat for wear resistance. The BF965 is composed of 3/4” plywood with natural hardwood veneer and impact resistant PVC edge bonding securely doweled and glued at strategic locations. The high-pressure laminate top surface with rounded solid hardwood edge for enhanced wear resistance and cleanability is supported with a double top for additional durability. Sturdy 3/4” plywood back is securely fastened to unit for additional structural integrity. Non-removeable, non-mar floor glides are standard. The BF965 is manufactured in the USA, can be bolted down, ships assembled, and comes with a 5 year warranty.